Thank you so much for all your love & support surrounding the awesome project I got to participate in with Macy's American Icons feature of 5 amazing cities. I am very Nashville proud & it makes my heart happy that you care, as much as I do, about this great city! I was extremely nervous to talk for the first time on video (I hate hearing even my voicemail message…), & narrow down my favorite hot spots to only my top 10 (so. much. stress! ), therefore your positive feedback has been wonderful! Looking forward to sharing more of my beautiful town soon… but for now, please enjoy these photos we snapped at the gorgeous Union Station hotel. 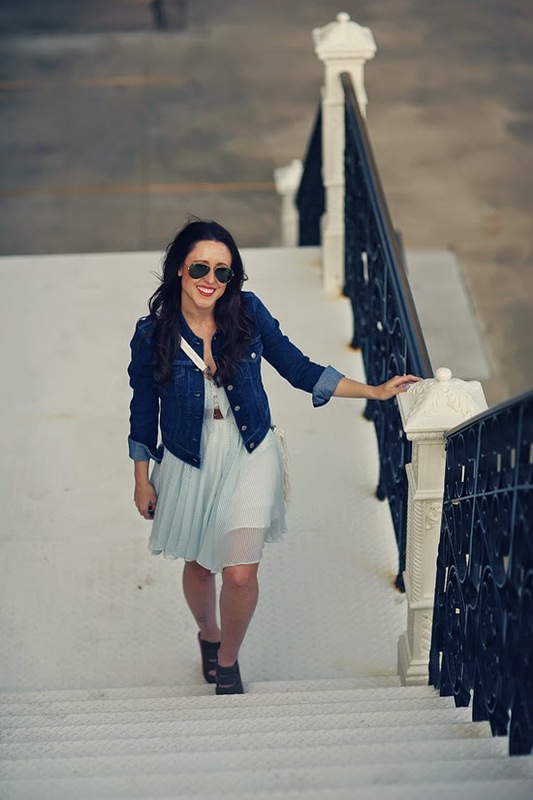 And check out the full States of Style project on Stylebistro.com including a highlight video, Nashville street style, & style guide. See more at Macy's American Icons hub here. You have a great style, I love your fringe bag. Congrats for the project. The whole outfit looks fun! I stopped by Nashville for one night during a cross country road trip last year, and now I know I need to go back!! Gorgeous pictures! My little sister move to Nashville this year and absolutely loves it...I'm dying to get there! What a great outfit! And purse! you are gorgeous! love that fringe bag! Your handbag is so amazing. I love the fringes. You look incredible. You are the cutest and represent Nashville well. I hope I am able to visit the great city one of these days! EEEEEK!!! I have been waiting to see this post!!! You nailed and looked amazing!! So crazy proud of you, sweet friend! !